« Warum sind die Twitter-Namen nicht blau unterlegt und nicht verlinkt? 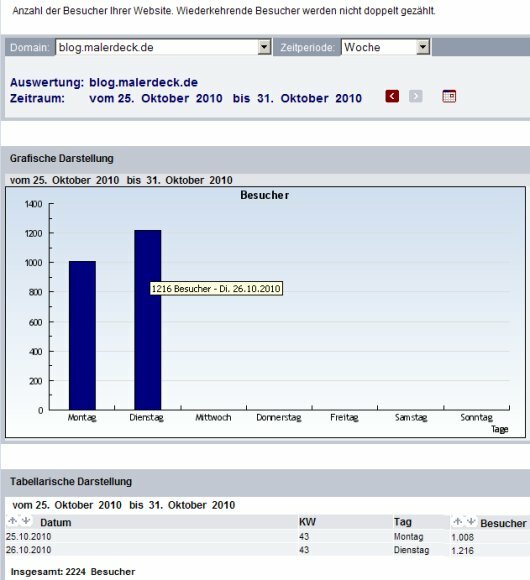 This entry was posted on Mittwoch, Oktober 27th, 2010 at 09:20 and is filed under Twitter, Facebook & Co. Social Media. You can follow any responses to this entry through the RSS 2.0 feed. Both comments and pings are currently closed. How ever, gratuliere und wünsche auch weiterhin rege Beteiligung an den Veröffentlichungen. Es sieht nicht nur schwer nach 1 & 1 aus: es IST 1 & 1 .